Ray Hughes is Jun Chen’s art dealer and they have known each other for over 10 years. During the last two years they have seen quite a bit of each other and have travelled to China together twice. 'Ray has run his gallery for 40 years and he introduced contemporary Chinese art to Australia,’ says Chen. Born in China in 1960, Chen graduated from the Guangzhou Academy of Fine Arts in China in 1986. He then worked for four years as an art editor in book design and as a Fine Arts lecturer. During this time, he entered many art competitions, winning several prizes. He came to Australia in 1990 and graduated with a Master of Fine Art from the Queensland University of Technology. He has exhibited in many solo and group shows in Australia. 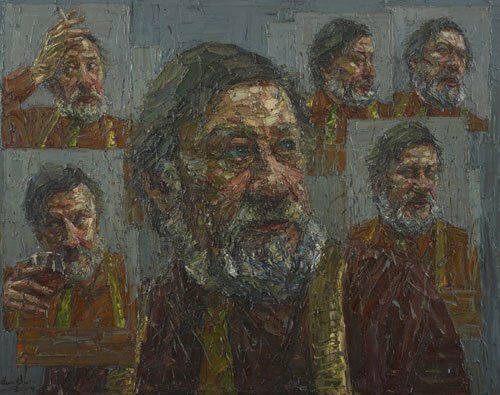 He had been a finalist in the Sulman Prize three times and had portraits hung in the 2006 and 2008 Archibald Prize, as well as being a finalist in this year’s Wynne Prize.